Award-winning Chef Ricardo Zarate continues to take his Peruvian cooking to new heights with his latest undertaking, Paiche. The same Peruvian and Japanese influences that made Picca and Mo-Chica successful ventures are still here, though this time around seafood is the center of attention. Both the Marina Del Rey location and meaning behind the name (paiche refers to a large South American freshwater fish) tie into the seafood motif, making Paiche an intriguing alternative to the more traditional seafood spots opening up like Fishing with Dynamite and Connie and Ted’s. We started the meal with an order of tuna tartar, a rather standard interpretation to the ubiquitous appetizer. The dressing was overwhelmingly tart, masking the flavors of the tuna instead of complimenting them. 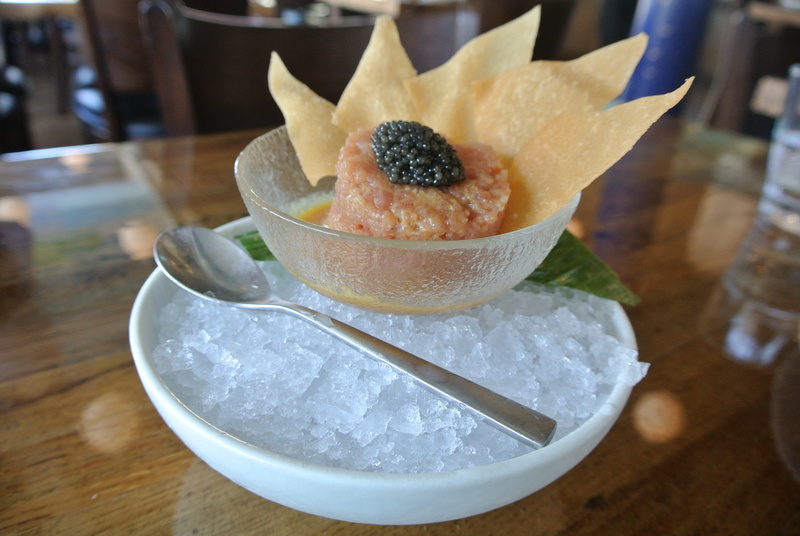 I did, however, enjoy the medley of textures that took place when all elements – the finely minced tuna, crunchy wonton and “pop” of the caviar – were combined in a single bite. This dish sounded like a winner from the description, but it quickly tripped all over itself before reaching the finish line. Too much was going on here, leaving the seared wagyu hidden under an amalgam of tangy, rich parmesan-aji amarillo marinade that dominated the plate. 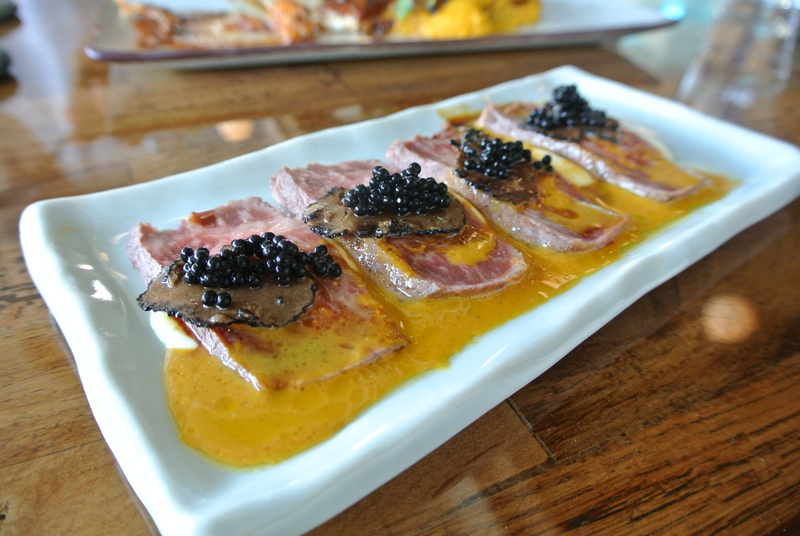 Truffle slices and black tobikko were aesthetically pleasing, but did little to save the dish. 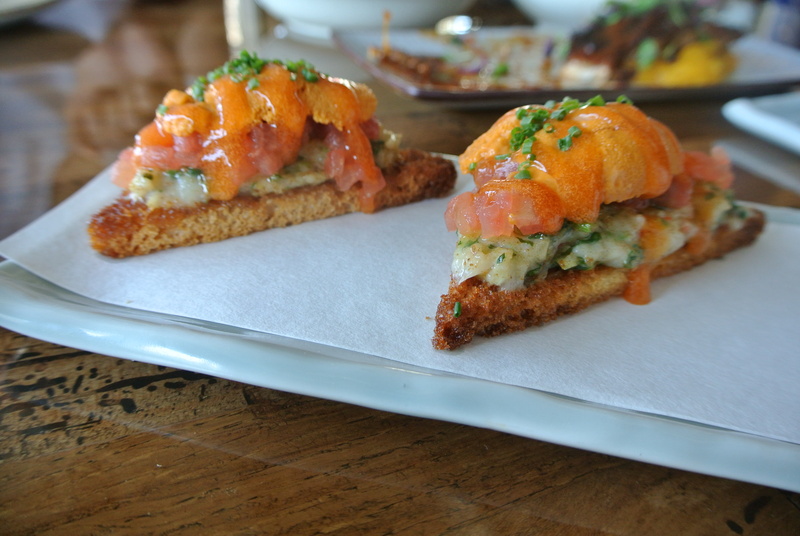 I’m a pushover for anything uni, but like the previous two dishes, the uni shrimp toast suffered from confusing flavors. The uni itself was sweet and a touch ocean-y, but it sat atop a sort of tomato salsa that really didn’t seem to compliment the uni or the shrimp paste smeared along the crunchy toast point at all. Just when I was beginning to really start doubting the rest of the meal, the pacu ribs arrived and really marked a turnaround in the food. 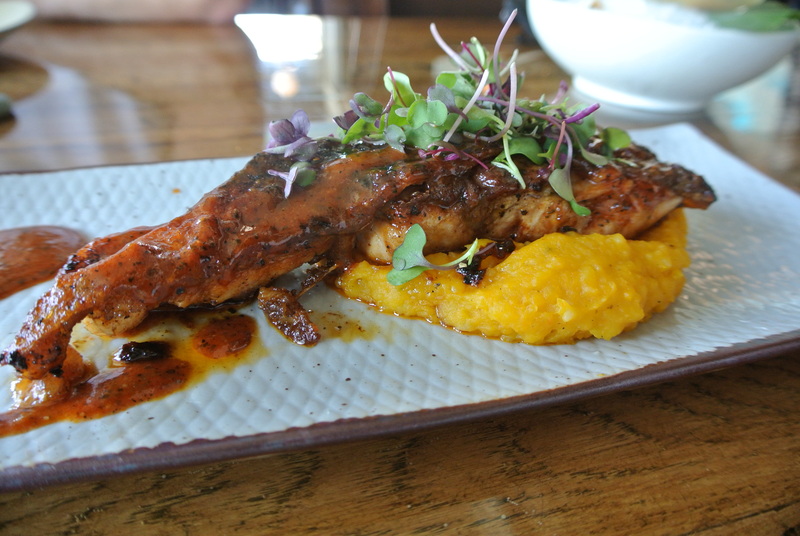 The ribs were substantial and meaty, not what you might expect from a fish related to the piranha, with a smoky, sweetness from the limo miso sauce. The accompanying zapallo, or squash, puree provided a nice counterpoint and vibrant contrast of color on the plate. 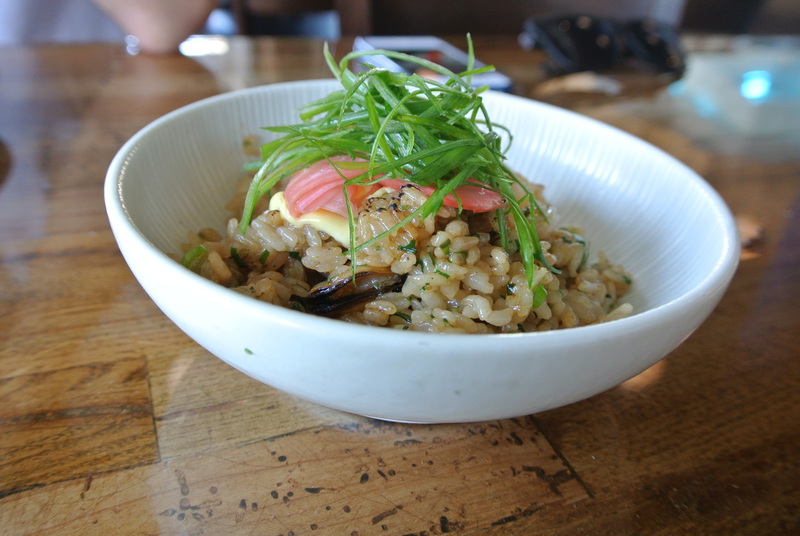 Fried rice was impeccable, with pieces of lobster, squid, mussels, scallops and shrimp mixed into slightly charred grains of sticky rice. A dollop of citrus-infused mayonnaise added a bit of zesty-sweetness that really brought together the fresh ocean flavors of the seafood. Our final plate was a well executed one, a twist on the Peruvian dish saltado. 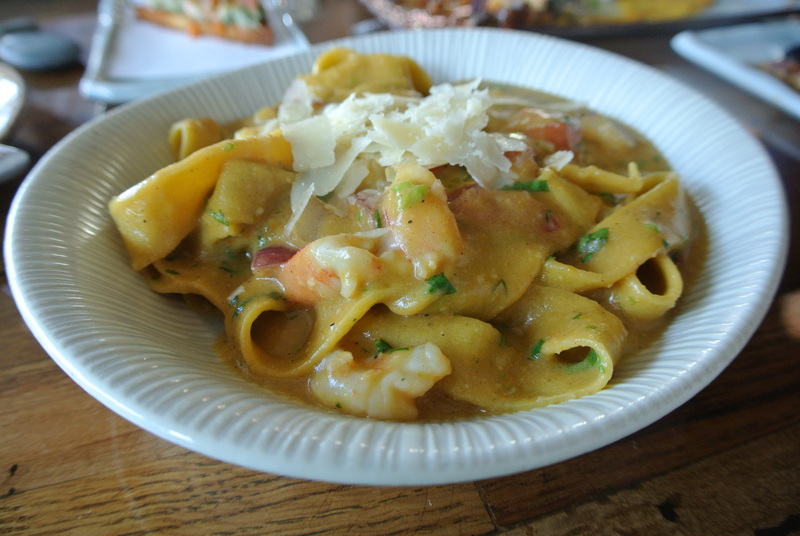 Ditching the traditional rice, potatoes, onions, and tomatoes, Zarate took took fresh pappardelle noodles, cooked them perfectly al dente, and coated them in a velvety “tomato onion stew” that kept all the flavors of the traditional saltado, and somehow managed to enhance them in the form of basically a pasta sauce. Outstanding. It was a split decision among the six dishes I had, some surprisingly impressive and others disappointingly overworked. Zarate’s vision of Peruvian cooking with a strong influence of Japanese flavors has proved successful at his other restaurants Picca and Mo-Chica, and there’s no reason to think that the trend won’t continue at Paiche, given some time to sort through some minor missteps.